Last edited by Jones on Sun Oct 26, 2008 9:33 am, edited 3 times in total. what size is it ? 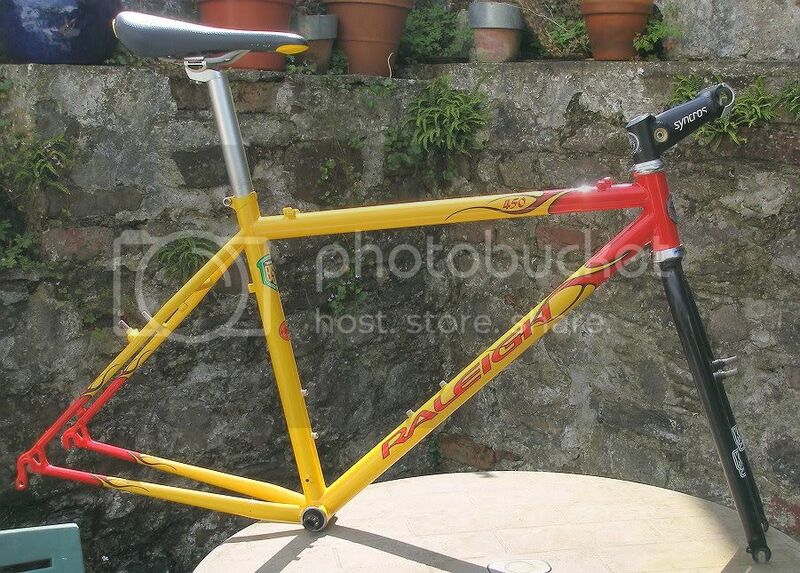 To anybody out there reading this - I have one of these and to be honest it's the best riding frame I have. I absolutely love it. Buy it. Now. Or, Steve, don't sell it, it's too nice! Whichever! "Going that fast, I'm sucking foxes out of hedges!" "I washed it recently. 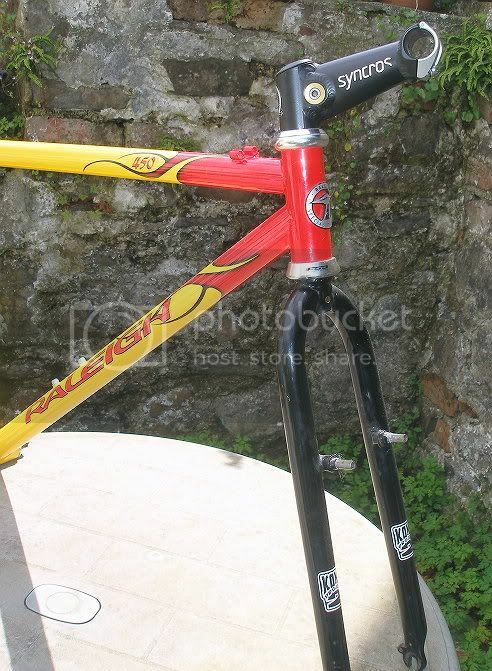 I think it was in 2005..."
Its 16" centre to centre, 18" centre to top and the top tube is 22"
well that's cleared a couple of things up for me - approx year of manufacture (best change my signature!) 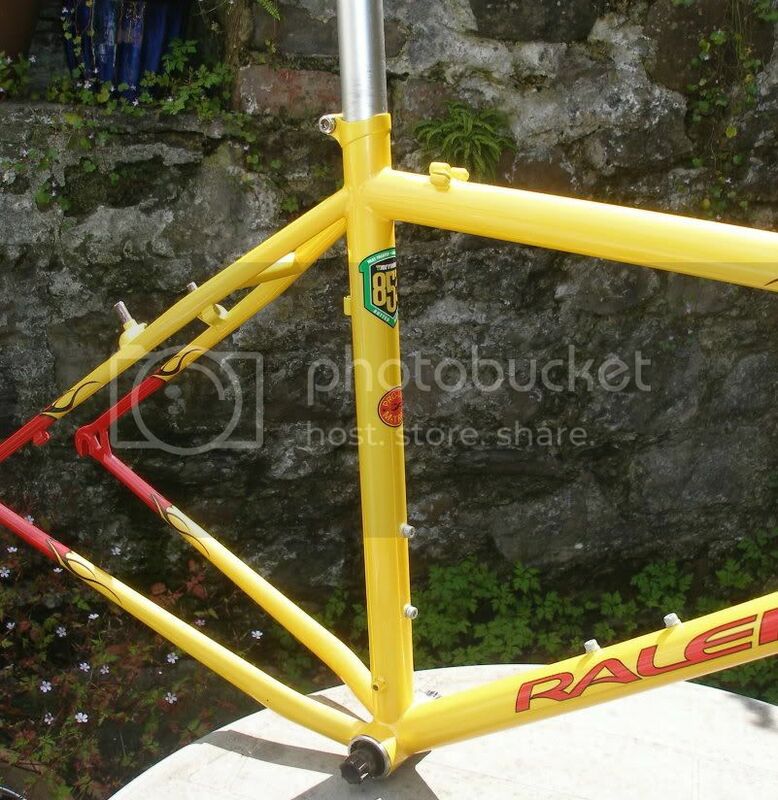 and initial cost Not cheap back in the day, but a quality frame. Last edited by orange71 on Tue Aug 05, 2008 8:44 am, edited 1 time in total. yes, so i have pm'd am keen. first dibs please. I can't believe nobody wants this for that price. I'd buy it if I hadn't just overspent on something else. 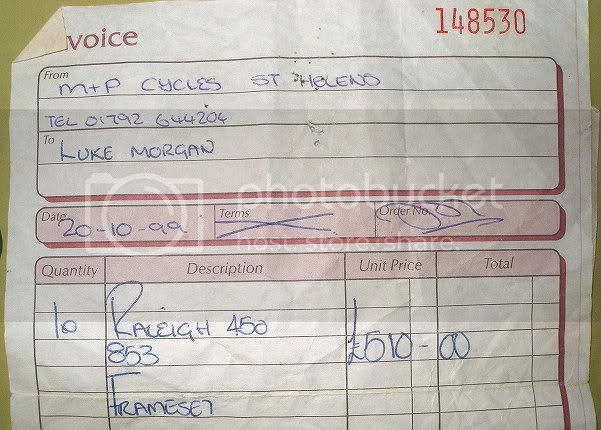 Original receipt for over £500, basically new condition 853 frame for just over £100... bargain. It just goes to show what a difference 'brand' makes. If that had Kona or GT stickers down the side, It would be advertised for £200+ and people would be arguing over it.